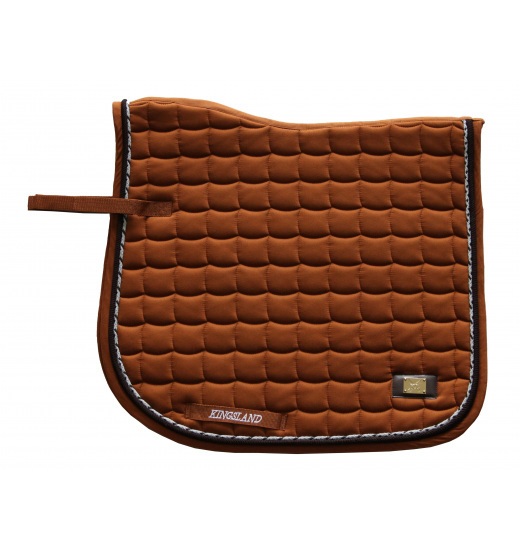 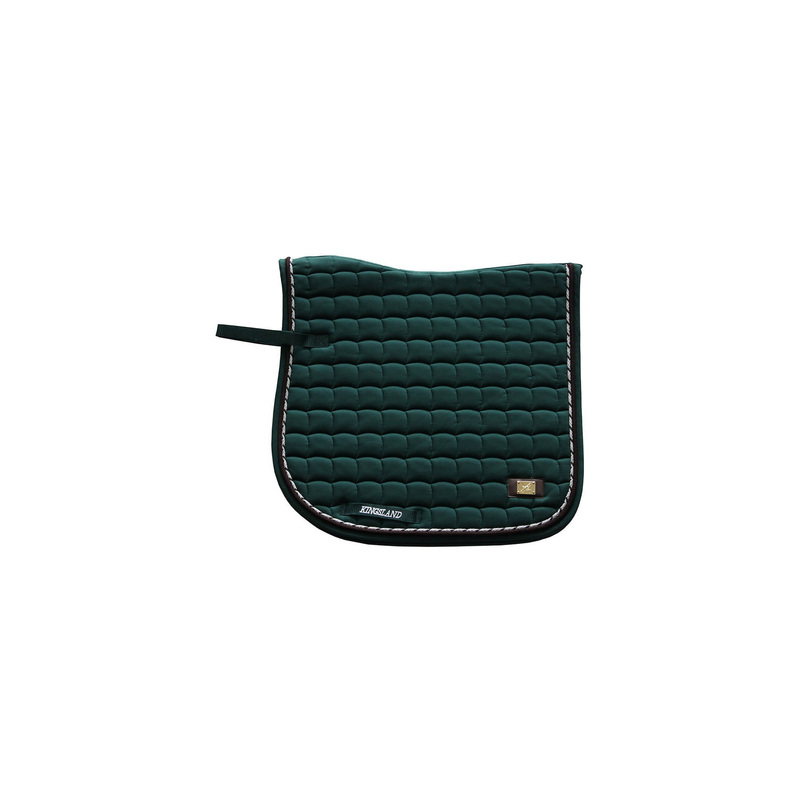 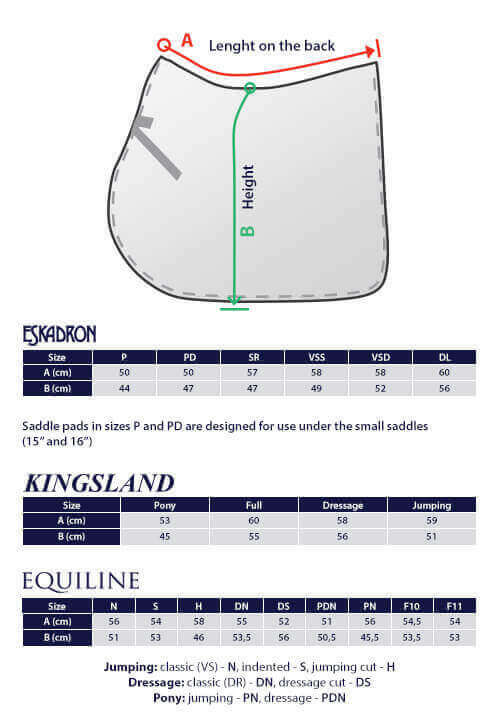 Saddle pad designed specifically for dressage. 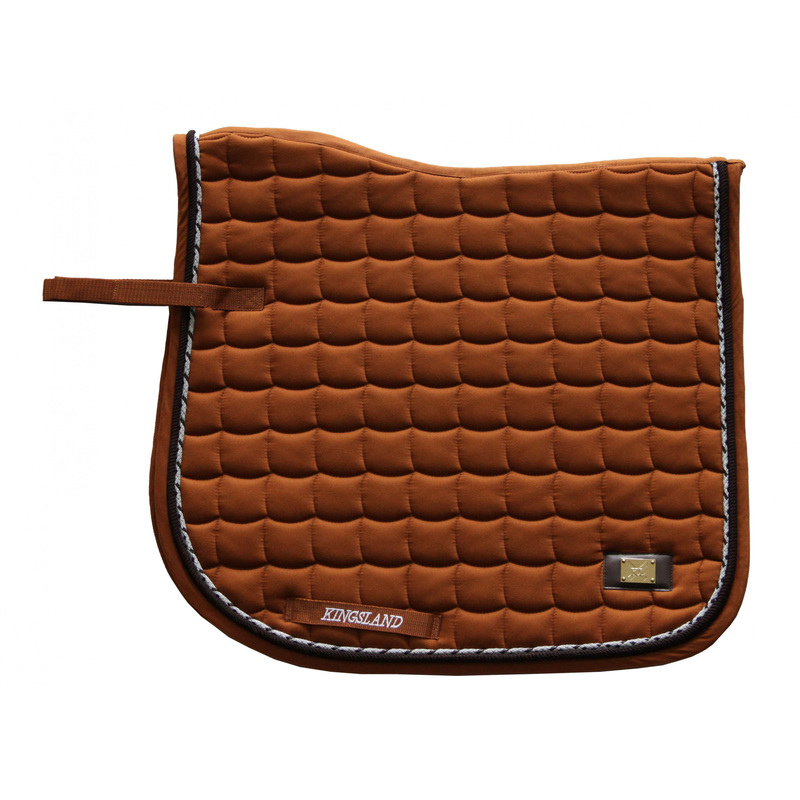 His "high" structure provides greater freedom of movement in withers area. 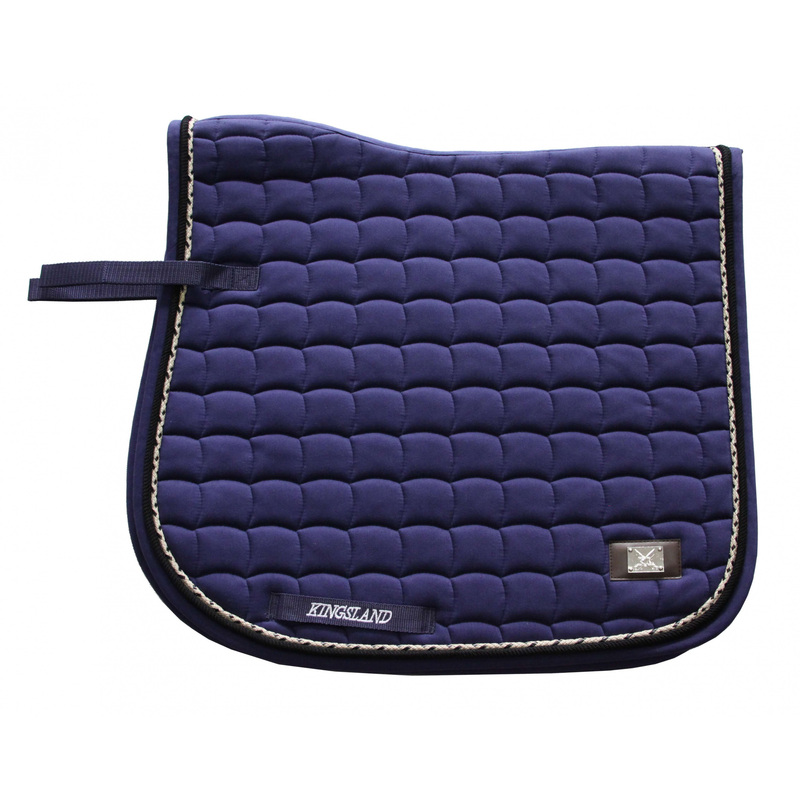 It has embroidery of KINGSLAND Dressage logo, decorative stitching along the edges, and characteristic, decorative KLD metal logo.